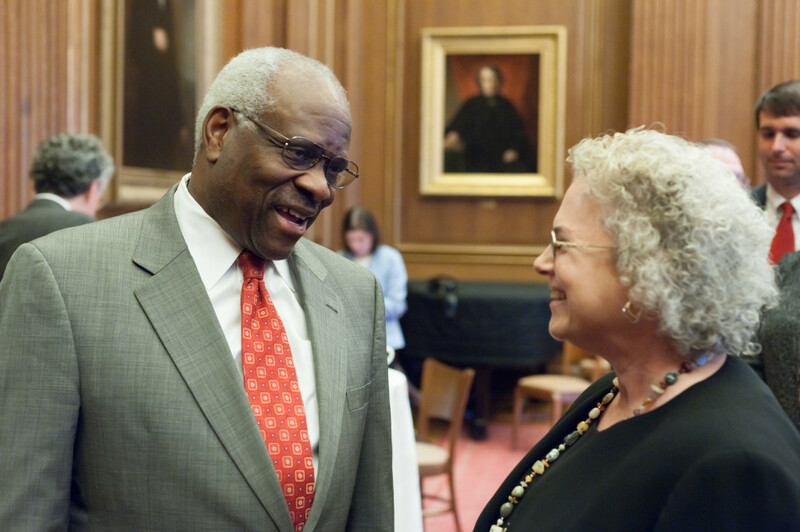 Following her recent admission to membership in the Bar of the United States Supreme Court Georgia Lord had the opportunity to chat with Supreme Court Justice Clarence Thomas. Justice Clarence Thomas personally greeted Georgia and congratulated her. Although Justice Thomas is known for his silence during the Court’s oral arguments, he was very gracious and welcoming on this occasion. He good humoredly responded to the many, many questions posed by those present. 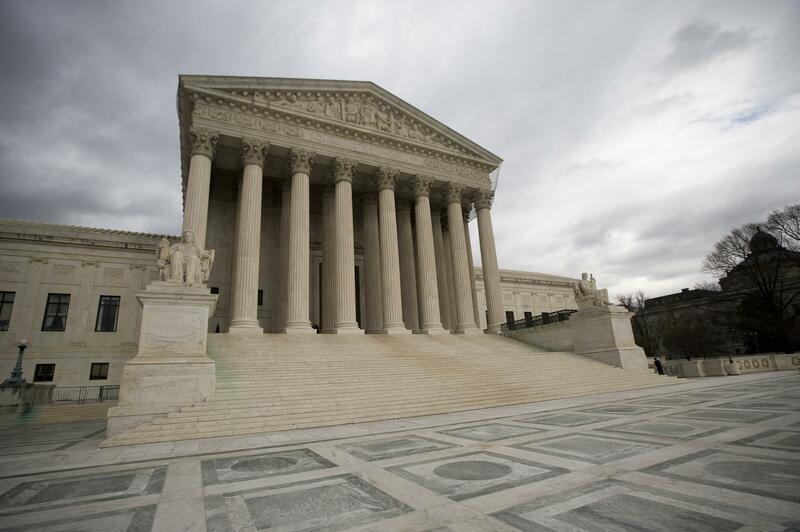 The admission ceremony itself took place in the Supreme Court’s courtroom and five of the current Justices participated: Chief Justice John Roberts and Associate Justices Antonin Scalia, Ruth Bader Ginsburg, and Elena Kagan, along with Justice Thomas. As a member of the Court’s Bar association Georgia is eligible to represent parties in Supreme Court cases. Luckily, a photographer captured the moment when Georgia Lord meets Supreme Court Justice Thomas. On January 26th, 2015, Georgia Lord was accepted as a member of the Bar of the United States Supreme Court. As a member of the Court’s Bar association she is eligible to represent parties in Supreme Court cases. The admission ceremony took place in the Supreme Court’s courtroom and five of the current Justices participated. Justice Clarence Thomas personally greeted Georgia and congratulated her following the ceremony.